While most crypto investors are shooting for the moon, Blockstream is focused on things a bit closer to Earth: in the outermost layer of its atmosphere, to be exact. Blockstream’s full node Bitcoin satellites are something out of science fiction. Orbiting in our planet’s exosphere, the spacecrafts broadcast the Bitcoin blockchain across the globe. Anyone can access the node with a simple satellite receiver — no internet required — putting the Bitcoin network in reach for the world’s population from the limits of the Earth’s atmosphere. And with the project’s latest update, this reach is going even further. Formerly servicing only North America, South America, Europe and Africa, the initiative now services the Asia-Pacific region as well, marking Blockstream’s latest attempt to make its satellites’ coverage global. The update also comes with a new messaging feature that allows the satellites’ users to broadcast messages from the satellite and pay for these data transmission with Lightning Network micropayments. “Four satellites are currently active, with coverage over North and South America, Europe, Africa, and now Asia Pacific. More will be added in the future to complete global coverage,” Chris Cook, the project’s head, told Bitcoin Magazine. Launched in August of 2017, the Blockstream satellite program originated from a desire to make Bitcoin more accessible to those who lack a reliable internet connection. With the scope of its services now expanding, Cook indicated that accessing Bitcoin Network functions from the satellite carries security and accessibility benefits as opposed to tapping into nodes on the ground. Most notably, he sees potential to expose Bitcoin to those who would otherwise have trouble accessing the network, as well as security benefits for those who decide to set up a wallet through one of the satellites. The update also comes with a Lightning Network-powered messaging feature. 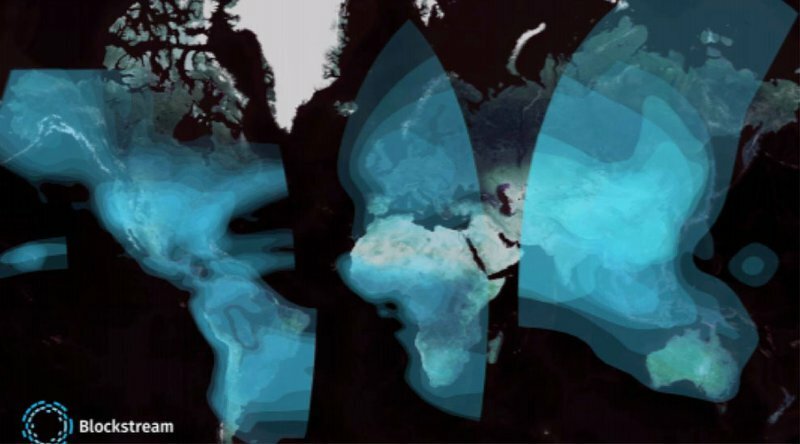 Users can broadcast messages through one Blockstream’s satellites and pay for this data transmission per kilobyte using Bitcoin’s Lightning Network. Cook said that these broadcast costs “are very low, which make them more suited to Lightning payments” rather than primary network transactions. While the service could be used to broadcast any simple message, the team hopes that users will get creative with its functionality. “Natural disaster notifications, secure personal messaging, and sending bitcoin market data to remote locations are just some of the exciting examples of the power of this service,” Cook commented in a statement. Updates to API access for the new services are expected to go live in January of 2019. As for other forthcoming features for the satellites, Cook revealed that Blockstream has a lot in the works but that he couldn’t reveal specifics. He did, however, end the interview with a note of optimism for how the program might impact (and expand) the Bitcoin community in the future.